Telluride Mushroom Festival’s roots span back to the 1970s when Beth Israel Hospital sponsored an academic conference in Aspen, CO. The festival focused on mushroom identification and included lectures on mushroom poisoning treatment and diagnosis. In 1981, Dr. Emanuel Salzman, founder of Fungophile, Inc. and co-founder of the Aspen Mushroom Conference moved to Telluride. 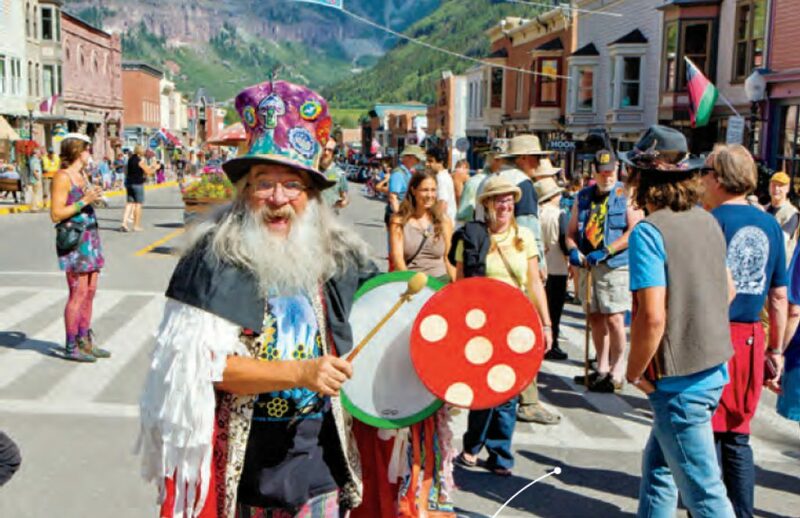 The Telluride Mushroom Festival was born with the creative energy of: Manny and Joanne Salzman, Gary Lincoff, Andrew Weil, Paul Stamets, the Gillmans, the Adams, Art Goodtimes, and John Sir Jesse. Since then, the Festival has hosted Nobel Prize laureates, anthropologists, medical doctors, professors, psychonauts, writers, chemists, thought-leaders, religious leaders, and others famous in their respective fields. 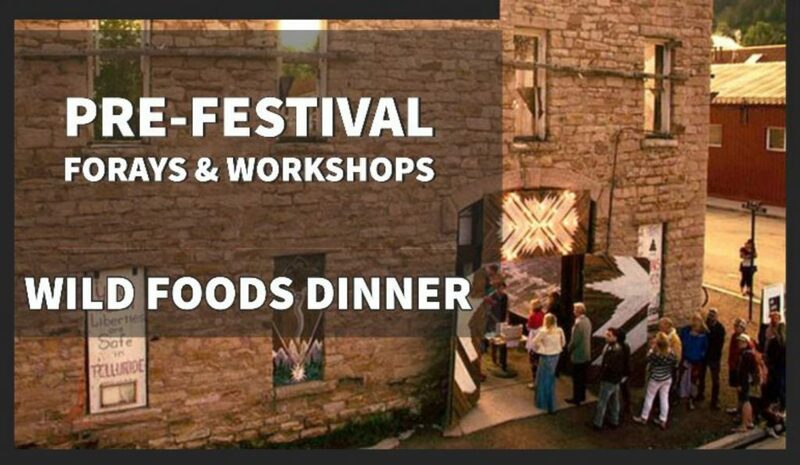 It is a weekend of mycology-related forays, talks and special events and is famous for the lively experience it provides all festival goers and participants. Britt Bunyard, PhD, is the founder, Publisher, and Editor-in-Chief of the mycology journal Fungi. Britt has worked academically (and played very amateurishly) as a mycologist his entire career, writing scientifically for many research journals, popular science magazines, and books, most recently Mushrooms and Macrofungi of Ohio and Midwestern States (2012) by The Ohio State University Press. He has served as an editor for mycological and entomological research journals, and mushroom guide books. A popular evangelizer on all things fungal, Britt has been featured on NPR’s All Things Considered, National Geographic Magazine, PBS’s NOVA television program, and is the Executive Director of the Telluride Mushroom Festival. He is the co-editor of MycoEpithalamia: Mushroom Wedding Poems (The FUNGI Press), published in 2016. He is the co-author of The Amanitas of North America, scheduled for publication in early 2019. Ashley Smith, founder of Sage Advice Telluride, and former Program Director of the Telluride Academy, joins the Telluride Mushroom Festival management team as Festival Manager in 2019 to provide oversight and support to the many logistical objectives that come along with creating a successful Mushroom Festival. Smith has worked in nonprofit management and marketing for over 10 years. Before that, Smith worked as a veterinary technologist after studying animal science and veterinary technology at St. Petersburg College where she received her bachelor’s degree in 2006. Smith lives in Telluride with her husband, Nate Smith, and their two Labradors who like to ride mountain bikes, go for hikes and mushroom hunt during the rainy summer months in and around San Juans. As director of the Telluride Council for the Arts & Humanities, Art welcomed Wild Mushrooms Telluride, as the event was originally called, and helped convince the organizers to keep coming back. He took over local operations for 25 years, including the celebrated Mushroom Parade. He also served as Poet-in-residence, and helped bring an arts and culture focus to the event, eventually helping it make the transition to a Telluride festival. He has been on the board of the Telluride Institute since before they assumed sponsorship of the festival and continues as part of the Institute’s Mushroom Committee. This year he is serving as Festival Coordinator to oversee management changes and local coordination efforts. A special thank you to the Telluride Institute Board of Directors, and especially the TI Mushroom Committee: Dan Collins, Laurie Lundquist and Peter Waldor.